Coachella wrapped up last weekend and social media buzzed for 30 days, with more than 8.3 million mentions and 49.8 million engagements (likes, retweets, shares) focused on the music festival, according to international social media analytics firm Talkwalker. The Korean girls-band Blackpink was mentioned 1.8M times and grossed 7.9M engagements in total, more than Beyone (due to her diet and film on Netflix) with 341K mentions and 2.4M engagements. Only video and music sponsors had real impact due to venue and event names. Beverage and beauty sponsors failed in creating momentum. This entry was posted in Uncategorized and tagged 360, 360 Magazine, analytics, BLACKPINK, Celebrities, Coachella, coachella 2019, data, hashtag, James Charles, Madison Smushkevich, Sponsorshir, Talkwalker, Vaughn Lowery, vlog on April 25, 2019 by wp360mag. BLACKPINK RELEASE NEW SINGLE “KILL THIS LOVE” AND OFFICIAL VIDEO, OUT NOW! BLACKPINK release their highly anticipatedKILL THIS LOVE EP today on YG Entertainment/Interscope Records. 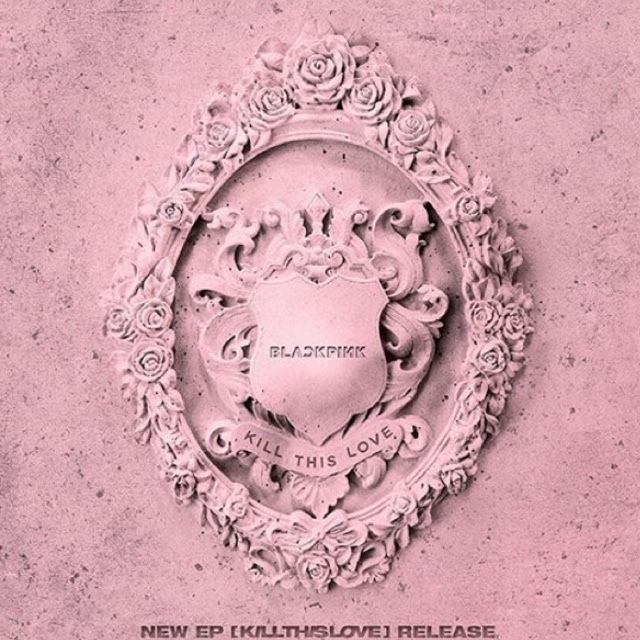 Track listing for the five-song set is: “KILL THIS LOVE,” “Don’t Know What To Do,” “Kick It,” “Hope Not,” and “DDU-DU DDU-DU (Remix).” KILL THIS LOVE EP is available now at all digital retailers. In addition, the official video for “KILL THIS LOVE”, directed by Hyun Seung Seo is out now, watch it HERE. Since its’ release yesterday, the single has shot up to #1 on iTunes in 35 countries with the video garnering over 26 million views on YouTube in less than 11 hours. 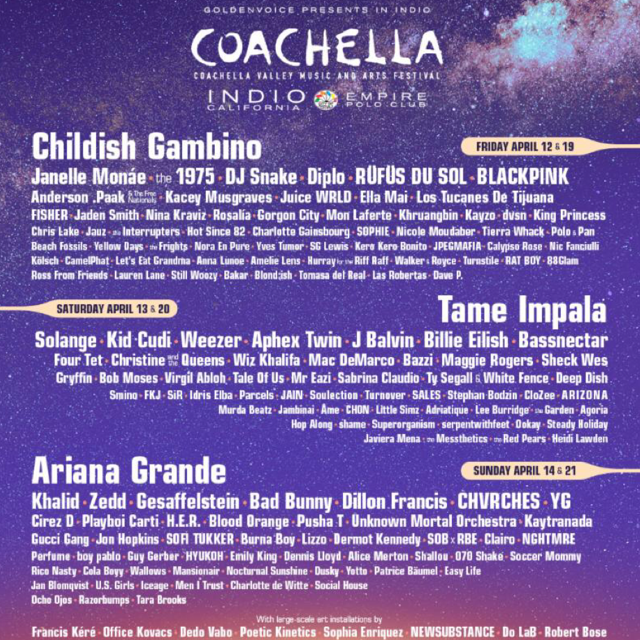 BLACKPINK are set to deliver a much-buzzed-about appearance as one of the top-billed acts at this year’s Coachella, making them the first K-pop girl group ever to grace the stage at the country’s premier music festival. Following Coachella, BLACKPINK will embark on the North American leg of their world tour featuring sold-out shows in Los Angeles, Chicago, Hamilton, Newark, Atlanta and Fort Worth. Since first bursting onto the scene in 2016, BLACKPINK redefined the possibilities of K-pop, transcending all categorization and ascending to global stardom. 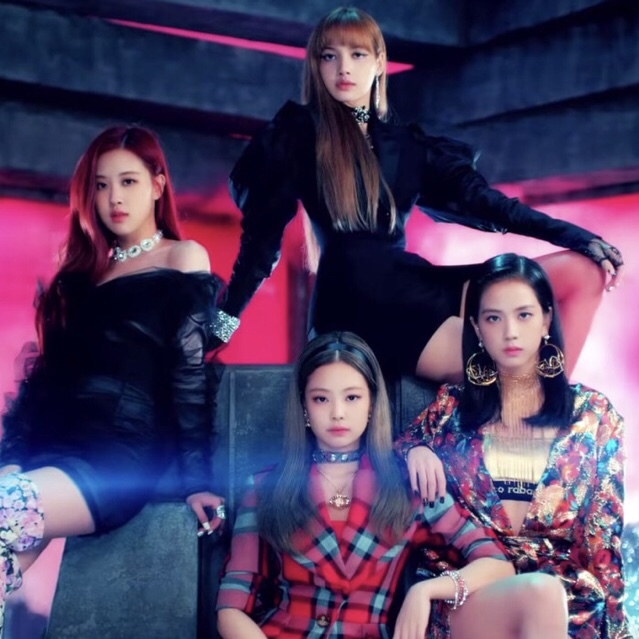 With their unstoppably catchy single “DDU-DU DDU-DU,” the South Korean quartet shattered the record for the highest-charting Billboard Hot 100 debut by an all-female K-pop act, while its head-turning video surpassed 10 million views in just six hours and amassed 36.2 million views in one day. Discovered by YG Entertainment BLACKPINK is comprised of JISOO, JENNIE, LISA, and ROSÉ—four immensely charismatic vocalists, dancers, and burgeoning fashion icons. Released in 2016 their debut “SQUARE ONE” quickly proved their crossover power. “SQUARE UP” was released in June 2018 release and shot to #40 on the Billboard 200 and #1 on the Billboard World Albums chart. 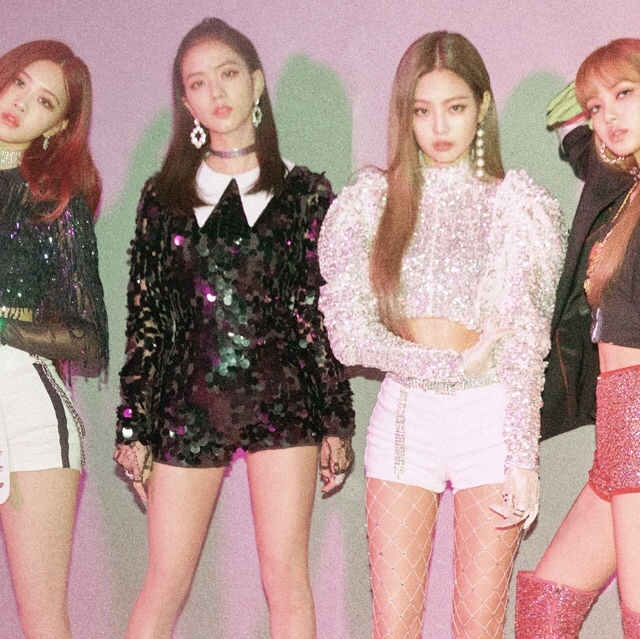 Several months after “SQUARE UP” hit the charts, YG Entertainment and Interscope Records announced a global partnership for BLACKPINK, paving the way for the group’s international breakthrough. Their fast-growing following now includes 20 million YouTube subscribers, 16.5 million Instagram followers, and 9.71 million monthly listeners on Spotify. BLACKPINK is the first K-pop girl group to perform a world tour with a live band. Through this, BLINKs (the fan club of BLACKPINK) around the world will be able to enjoy their rich music and all the spectacle that can only be experienced at YG concerts. This entry was posted in Feature and tagged 360, 360 Magazine, April Bussey, BLACKPINK, Coachella, entertainment, Kill This Love EP, music, out now, release, South Korean Girl Group, tour, Vaughn Lowery, YG Entertainment on April 7, 2019 by wp360mag. Goldenvoice and Powerhouse proudly bring one of the hottest K-pop groups in the world, BLACKPINK, to North America for the first time as a part of the BLACKPINK 2019 WORLD TOUR with KIA presented by YG Entertainment. Tickets will go on-sale today, February 20, 2019 at 4pm locally for all shows. Limited VIP tickets with additional benefits will also be available. Fans who purchase tickets will also receive a download of BLACKPINK’s upcoming EP available this spring via Interscope Records. More info at YG Entertainment’s Official BLACKPINK Tour Page here. BLACKPINK will perform six North American concerts in select cities– Los Angeles, Chicago, Dallas/Ft. Worth, Atlanta, Newark, and Hamilton, Ontario Canada, in addition to their two appearances at the Coachella Valley Music and Arts Festival this April. Last week during their first visit to the states, BLACKPINK made their US television debut on CBS’s ‘The Late Show with Stephen Colbert’ and ‘Good Morning America’ on ABC. This entry was posted in Fashion + Music and tagged 360, 360 Magazine, and Hamilton, apple music, Atlanta, BLACKPINK, Chicago, Dallas/Ft. Worth, iTunes, Los Angeles, Madison Smushkevich, Newark, North American Tour, Ontario Canada, spotify, Vaughn Lowery, vevo, world tour, YG Entertainment, YouTube on February 21, 2019 by wp360mag. Coachella returns to the Empire Polo Club in Indio, CA for two weekends set for April 12th 14th and April 19th 21st. Childish Gambino, Tame Impala and Ariana Grande will headline both weekends. (Full lineup as of January 2nd below). This entry was posted in Fashion + Music and tagged 070 Shake, 360 Magazine, 88glam, A R I Z O N A, Adriatique, AGORIA, Alice Merton, Amelie Lens, Anderson.Paak & The Free Nationals, Anna Lunoe‪, Aphex Twin, Ariana Grande‬, Bad Bunny, Bakar, Bassnectar, Bazzi‪, Beach Fossils‬, Billie Eilish, BLACKPINK, Blond:ish, Blood Orange, Bob Moses, boy pablo, Burna Boy, Calypso Rose, Camelphat, Charlotte de Witte, Charlotte Gainsbourg, childish gambino, CHON‪, Chris Lake, Christine and the Queens, CHVRCHES‬, Cirez D, Clairo, CloZee, Coachella, Cola Boyy, Dave P., Deep Dish, Dennis Lloyd, Dermot Kennedy‪, Diana Macaraeg, Dillon Francis, diplo, DJ Snake‬, Dusky, dvsn, Easy Life, Ella Mai; Emily King, festival, FISHER, FKJ‪, Four Tet, Gesaffelstein, Gorgon City‬, gryffin, Gucci Gang‪, Guy Gerber‬, h.e.r., Heidi Lawden, Hop Along, Hot Since 82‪, Hurray for the Riff Raff‬, HYUKOH‪, Iceage‬, Idris Elba‪, j balvin, Jaden Smith‬, Jain, Jambinai, Jan Blomqvist, Janelle Mone, Jauz, Javiera Mena‪, Jon Hopkins‬, JPEGMAFIA, Juice WRLD‪, K&#f6;lsch, Kacey Musgraves, Kaytranada‬, Kayzo‪, Kero Kero Bonito‬, KHALID, Khruangbin‪, Kid Cudi‬, King Princess, Las Robertas, Lauren Lane, Lee burridge, Let's Eat Grandma, Little Simz‪, Lizzo, Los Tucanes De Tijuana, Mac DeMarco‬, Maggie rogers, Mansionair, Men I Trust, Mon Laferte, Mr Eazi, Murda Beatz, music, NGHTMRE, Nic Fanciulli, Nicole Moudaber, Nina Kraviz, Nocturnal Sunshine, Nora En Pure, Ocho Ojos, Ookay, Parcels, Patrice B, perfume, playboi carti, Polo & Pan, Pusha T, R&#dc;F&#dc;S DU SOL, RAT BOY, Razorbumps, Rico Nasty, Rosal&#ed;a, Ross From Friends, Sabrina Claudio, sales, serpentwithfeet, SG Lewis, Shallou, Shame, Sheck Wes, SiR, Smino, SOB x RBE, Soccer Mommy, Social House‪, SOFI TUKKER‬, solange, Sophie, Soulection, Steady Holiday, Stephan Bodzin, Still Woozy, Superorganism, Tale Of Us‪, Tame Impala‬, Tara Brooks‪, The 1975‬, The Frights, The Garden, The Interrupters, The Messthetics, The Red Pears, Tierra Whack, Tomasa del Real, turnover, Turnstile‪, Ty Segall & White Fence, U.S. Girls, Unknown Mortal Orchestra‬, Vaughn Lowery, Virgil Abloh, Walker & Royce, Wallows‪, weezer, Wiz Khalif‬a, Yellow Days, YG, Yotto, Yves Tumor‪, Zedd‬ on January 3, 2019 by wp360mag. 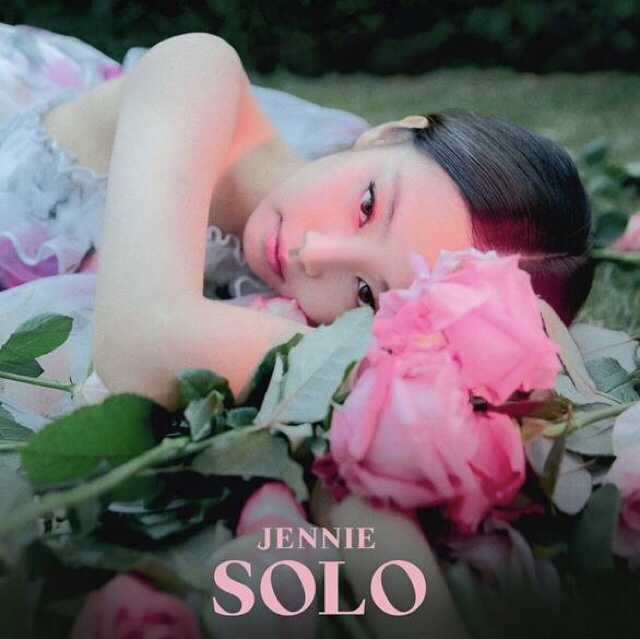 Produced by YG Entertainment’s Teddy and 24, “SOLO” is the solo debut single from BLACKPINK member Jennie. The hip-hop, pop anthem was released today, November 12th, along with an accompanying video. Watch the video for “SOLO” HERE. Aside from her work with BLACKPINK, this solo debut track showcases Jennie’s maturity and independence as an artist. YG Entertainment recently announced that all BLACKPINK members are preparing for their solo debuts. Rosé will be the next to debut her solo effort. Discovered by K-Pop superstar artist/producer Teddy Park and YG Entertainment (the multi-faceted South Korean entertainment company responsible for the breakout successes of Big Bang, PSY, and 2NE1, among many others ), BLACKPINK’s lineup includes Jisoo, Jennie, Lisa, and Rosé. The group made its debut in August 2016 with a massively popular pair of singles: “Boombayah” and “Whistle,” which debuted at #1 and #2 on Billboard’s World Digital Songs chart. That November, BLACKPINK delivered their singles “Stay” and “Playing with Fire,” their second single to reach #1 on World Digital Songs. By the end of the year, BLACKPINK had landed at #2 on Billboard’s 10 Best New K-Pop Groups in 2016. On June 15 of this year, BLACKPINK released their debut EP Square Up and premiered its lead single “Ddu-Du Ddu-Du.” The song shot to #55 on the Billboard Hot 100, making it history’s highest-charting debut by an all-female K-pop act. The video for “Ddu-Du Ddu-Du” surpassed 10 million views in just 6 hours and earned 36.2 million views in one day. In August, “Ddu-Du Ddu-Du” appeared at #3 on YouTube’s Global Top 10 Songs of the Summer list, surpassing Drake’s “In My Feelings” and Ed Sheeran’s “Perfect.” The video currently has over 450,000,000 views on YouTube. Square Up debuted at #40 on the Billboard 200, cementing it as the highest-charting release to date by an all-female K-pop group. Square Up also hit #1 on the Billboard World Albums chart. This entry was posted in Uncategorized and tagged 360, 360 Magazine, apple music, Big Bang, billboard, BLACKPINK, Boombayah, ed sheeran, ep, hip hop, iTunes, Jennie, K-pop, Madison Smushkevich, pop, PSY, rose, Solo, soundcloud, spotify, Square Up, Vaughn Lowery, vevo, Whistle, YG Entertainment, YouTube on November 12, 2018 by wp360mag.